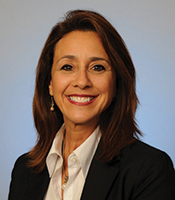 Nancy Callari Frank has been a HUNT Mortgage Consultant since 1995. She is dedicated and committed to her clients. Nancy has proven herself successful working in the mortgage, real estate, and paralegal industries since 1985. Nancy understands the stress and confusion that can be a part of the home buying process for the consumer. She is confident that her experience, coupled with support provided by the HUNT Mortgage team, will result in the most exceptional service available. Nancy will work diligently to exceed her customer’s expectations as she helps them make their dream of home ownership become a reality. She is licensed in both New York and Florida and can assist with the purchase of a primary, investment or secondary home, as well as refinancing.